The entire staff was great & professional.. All my questions and concerns were taken care of as well as additional appointmentsmade. The entire staff was great & professional.. All my questions and concerns were taken care of as well as additional appointments made. Everyone was great from the moment I called an hour before my appointment for a question I had. Extremely nice! Ifelt really comfortable going in for a check up. I'm glad I made the appointment with Donald Monteiro. I'm definitely sticking with him and his team! Everyone was great from the moment I called an hour before my appointment for a question I had. Extremely nice! I felt really comfortable going in for a check up. I'mglad I made the appointment with Donald Monteiro. I'm definitely sticking with him and his team! 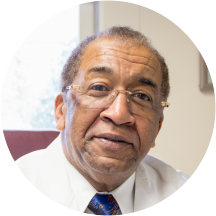 Donald Monteiro is a diligent and caring OB-GYN serving the community of Melrose, MA. Dr. Monteiro attended the University of Massachusetts, where he received his medical degree. He completed both his internship and residency at Boston Medical Center. Dr. Monteiro is a part of Tufts MC Community Care - Melrose OB/GYN and is affiliated with Melrose-Wakefield Hospital in Melrose, MA, Winchester Hospital in Winchester, MA, and Lawrence Memorial Hospital in Medford, MA. He is board certified by the American Board of Obstetrics and Gynecology. Patients see Dr. Monteiro for a variety of reasons, including pregnancies, pregnancy follow-ups, gynecology consultations, and gynecology follow-ups. He is fluent in Spanish, Vietnamese, Greek, and English which makes him widely accessible to patients from a variety of cultural backgrounds. He is dedicated to helping patients receive the treatment they need so they can enjoy a positive and fulfilling lifestyle. I literally pulled his name out of a hat in desperation and I'm so glad I did, He is wonderful and I am so grateful I choose hi. He is busy so you have to wait a while at his office, but it's worth the wait.